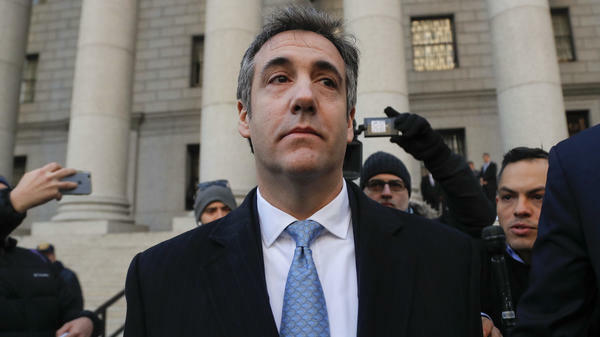 Michael Cohen walks out of federal court Thursday in New York, after pleading guilty to lying to Congress about work he did on an aborted project to build a Trump Tower in Russia. 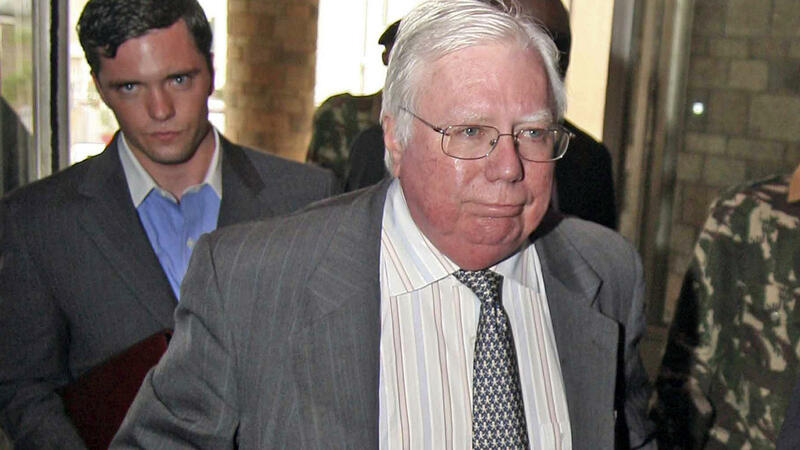 Jerome Corsi (right), shown in 2008, admitted he lied to Congress about his dealings with political consultant Roger Stone and WikiLeaks' Julian Assange. He has backed out of a plea deal, saying he is willing to die in jail rather than betray anyone. 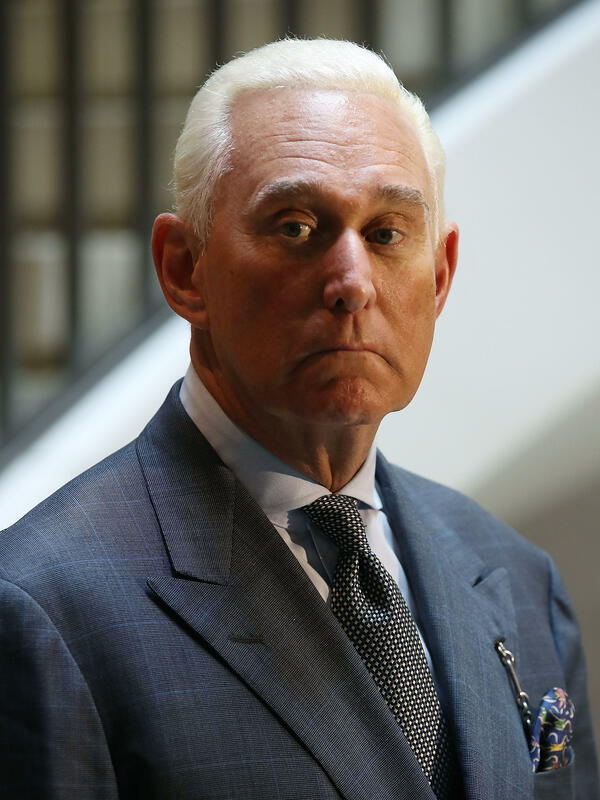 Roger Stone speaks to the media after appearing before the House intelligence committee during a closed-door hearing on Sept. 26, 2017. The project ultimately didn't take place, but Cohen now admits he lied about it to Congress to protect Trump. - It undercuts Trump's sometime denials in 2016 and since that he had, as he often put it, "nothing to do" with Russia. In fact he was pursuing a major deal that he suggested on Thursday he might have kept pursuing through the year and might have tried to conclude if he hadn't been elected. - It means Trump world already had a channel open with Moscow at the same time the Russian government was trying to bore one into Trump's campaign. Meanwhile, it was waging a campaign of "active measures" against the U.S. and the West aimed at corroding faith in democracy and, ultimately, helping Trump become president. - It could deepen the public understanding about the Trump family's relationship with the Moscow real estate mogul Aras Agalarov, another important player in this saga. If the Trumps' negotiations with people in Moscow involved the Agalarovs, as one of their representatives suggested might be the case to the Senate Judiciary Committee, it gives another reason why Trump's son Donald Trump Jr. might have agreed to the much discussed meeting with a Russian delegation that took place in June 2016. And because Cohen has told prosecutors that he briefed Trump about the Moscow deal, it raises new questions about whether Trump might also have been briefed about the meeting Trump Jr. hosted in New York City at Trump Tower. Trump said Cohen is lying. Trump also reportedly told the office of special counsel Robert Mueller this week in written answers that he didn't know about the Trump Tower meeting in New York beforehand. Trump told reporters on Thursday that even if he had pursued the real estate deal with the Russians, it wouldn't have been against the law. And Trump's attorney Rudy Giuliani said on Thursday that facts in the court documents revealed on Thursday came from the Trump Organization itself — proof it has nothing to hide. What happened? The plea agreement involving Trump's former campaign chairman Paul Manafort apparently fell apart on Monday. Manafort agreed earlier this year to give information to Mueller's office, but prosecutors said he has been lying to them. There was much more, though: It emerged that Manafort's lawyer has been briefing Trump's lawyer about the evidence Manafort has been giving to the government — ostensibly, according to The New York Times, to reassure Trump's team that Manafort hasn't implicated the president. What does that mean? The briefings for the president's legal team are "highly unusual" but not illegal, the Times reported, and they reawakened discussions about whether Manafort might be aiming for a presidential pardon to short-circuit the years of prison time he faces. Manafort was convicted by a federal jury in Alexandria, Va., this summer and pleaded guilty to separate charges arising in a second federal case in Washington, D.C.; he has a conference on Friday at which a judge could set the date for his sentencing, although Manafort will not be there. Trump has refused to rule out a pardon for Manafort although he told reporters this week that one hasn't been "discussed." Trump accused Mueller's office of trying to induce people like Manafort to lie to get the evidence it wants for what he sees as a cooked-up investigation. Critics led by Virginia Sen. Mark Warner, the top Democrat on the Senate intelligence committee, called it egregious that Trump apparently is dangling the prospect of a pardon for Manafort or others to keep them from giving information to prosecutors. What happened? A conservative commentator and InfoWars contributor named Jerome Corsi walked away from a guilty plea he has been negotiating with Mueller's office, he told news organizations this week. Corsi gave NBC News and the Washington Post a copy of his draft plea agreement, one that delineated alleged falsehoods he had told about his dealings with political consultant Roger Stone and WikiLeaks boss Julian Assange. Corsi also gave an interview to MSNBC in which he admitted to lying to Congress about his actions in 2016 but vowed that he was not going to betray anyone, wasn't expecting a pardon and that he is willing to "die in jail." What does that mean? Corsi belongs to a subcast of characters in the Russia melodrama centered on Stone, an adviser to Trump and his campaign who did not actually serve it in a formal role. In 2016, Stone suggested before the fact that WikiLeaks had material in store that would damage Hillary Clinton's campaign. According to the account given in the draft document Corsi released, he, Stone and others established a chain of connections among themselves from the Trump campaign to Assange and WikiLeaks. The question for investigators is whether Stone and company had any inside knowledge about Assange's intentions and whether they told the Trump campaign about what they learned. Corsi and Stone say no — they were just posing, trying to look more important than they actually were. They say they did not have any inside line to what Assange had in store. Trump reportedly told Mueller in his written answers that he did not discuss WikiLeaks with Stone. The wave of news in the Russia investigation has prompted a wave of new speculation about whether Mueller might be close to unsealing more charges. Stone has said many times that he expects to be indicted but so far no charges have been forthcoming. There are indications about potential sealed charges against Assange in the Eastern District of Virginia but no movement on that case, either. The Manafort case, on the other hand, appears to have been a blow to Mueller's work and a boost for Trump. Not only does the government no longer have the cooperation of one of Trump's closest lieutenants; he was serving, in effect, as a mole for the president and his lawyers. Corsi's withdrawal from his plea negotiations also may be a setback to the Justice Department: If prosecutors believed they could reach an agreement with Corsi that saved them a jury trial and secured another cooperating witness, that has now fallen through. Without a more complete picture about the puzzle Mueller is trying to assemble, it's difficult to assess how much longer it might take him to finish building it. All the same, Cohen's plea on Thursday underscored the special counsel's capacity to keep secrets and unleash surprises.